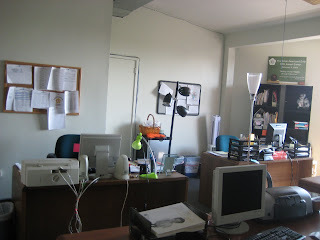 On Saturday, May 30th a group of volunteers arrived---ready to assist AALEAD in beautifying our building. ...was worked on and painted on for hours by our hard working volunteers. Taping edges was involved, using rollers to get the walls, painting the trim, covering the floor with plastic... and even moving furniture out of the way. 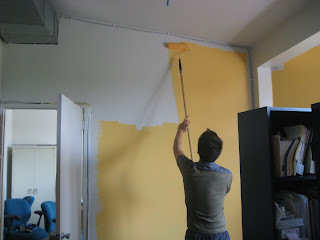 Soon the room became an inviting warm orange! 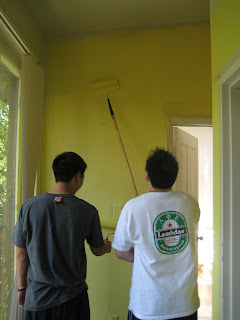 With so many volunteers in attendance, they even painted our hallway a nice bright yellow!